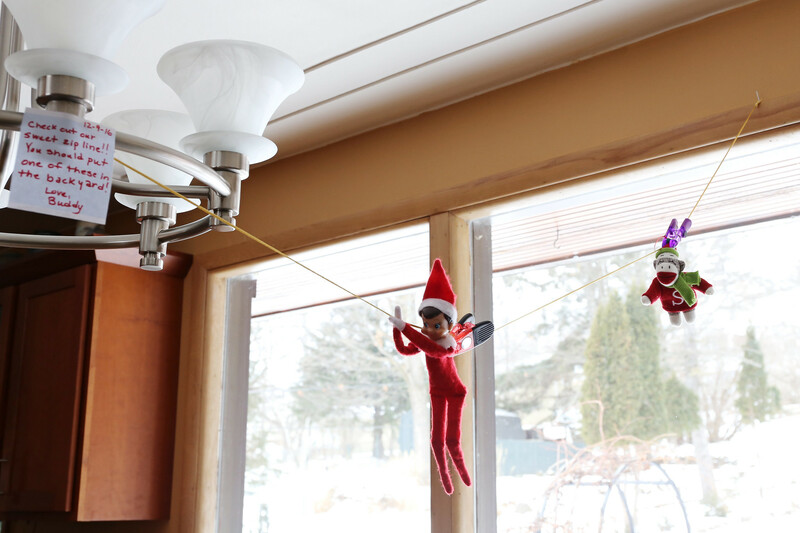 Buddy and his friend, Sock Monkey, set up a zip line for day nine. Buddy offered his baking skills to make cookies for the reception following Sophia’s piano recital on day ten. Time to mail the holiday cards. 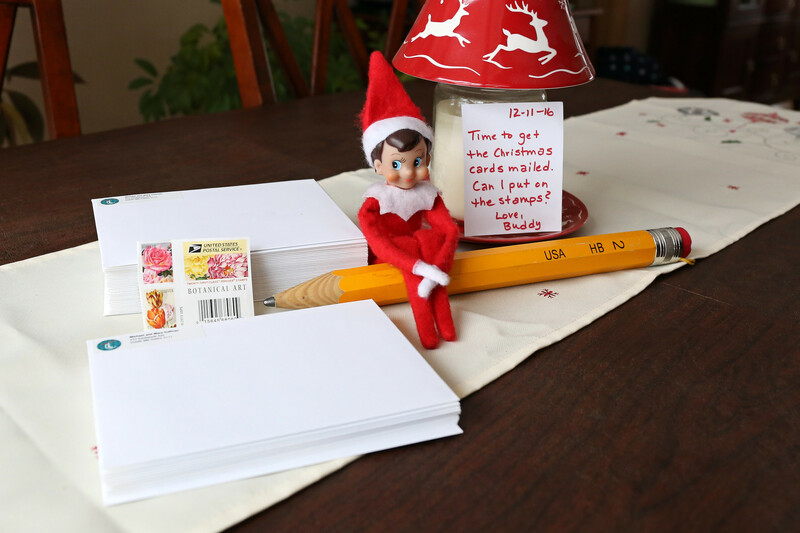 Buddy showed up with his giant pencil ready to sign off on each card on day eleven. 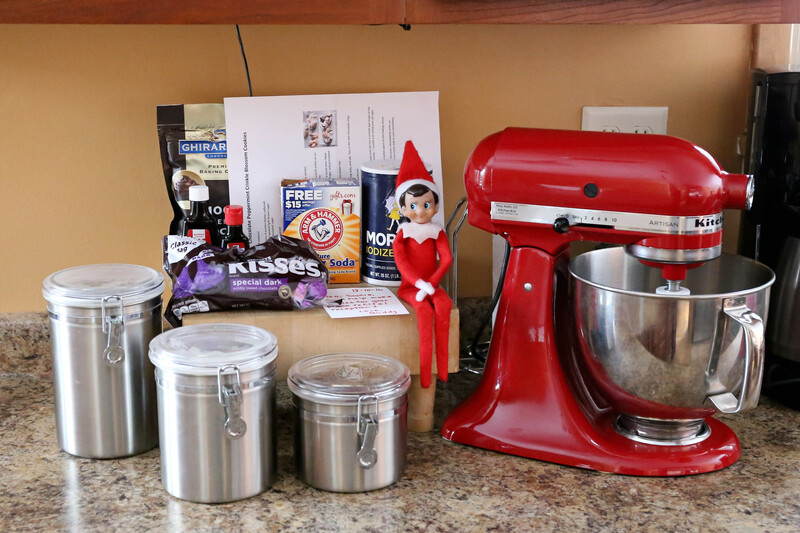 Buddy found the stash of peppermint patties and was caught red-handed on day twelve. 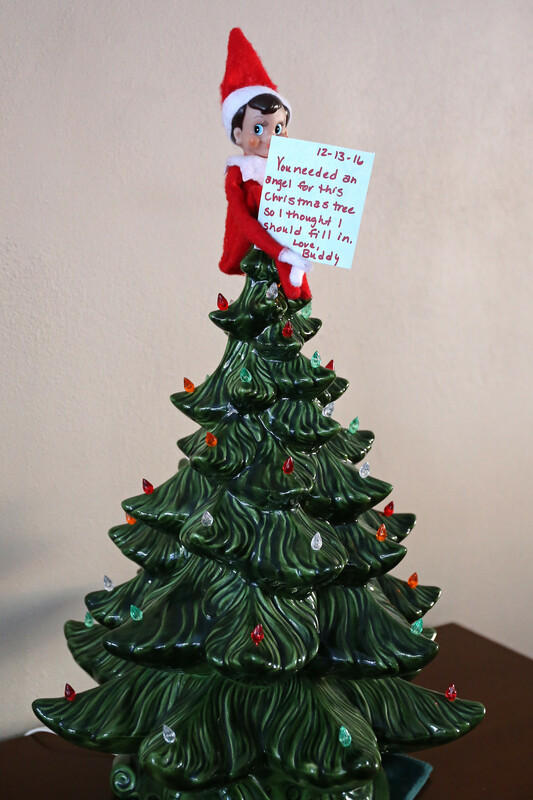 Buddy filled in as the angel on top of the tree for day thirteen. 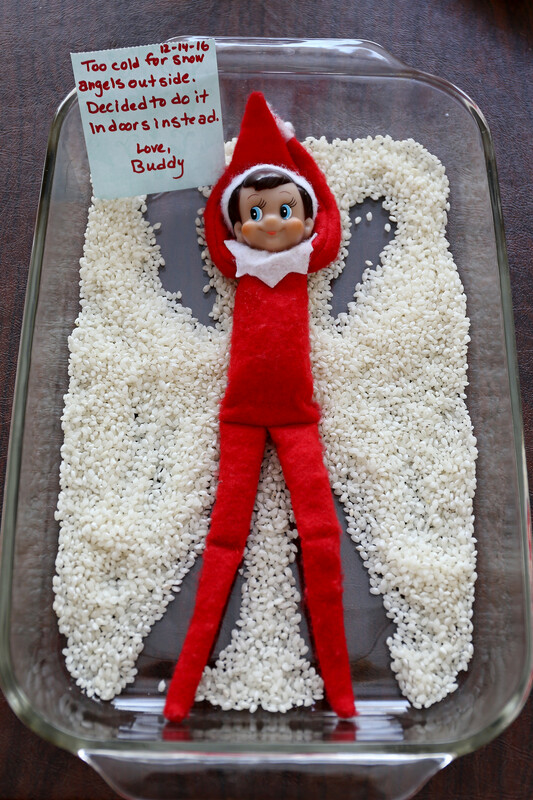 The subzero temperatures kept Buddy inside on day fourteen as he found a creative way to make a snow angel. 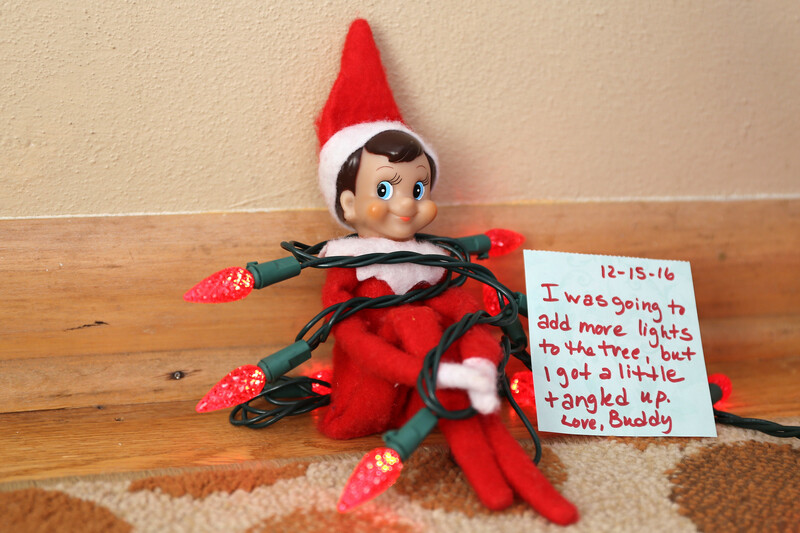 On day fifteen, Buddy got a little tangle up trying to add lights to the Christmas tree. 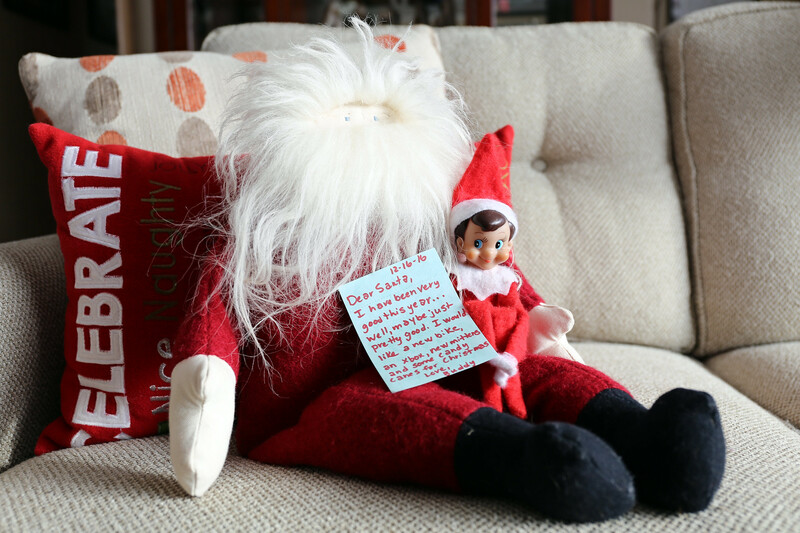 Buddy gave Santa his Christmas list on day sixteen. The final eight photos will be posted on Christmas Eve. 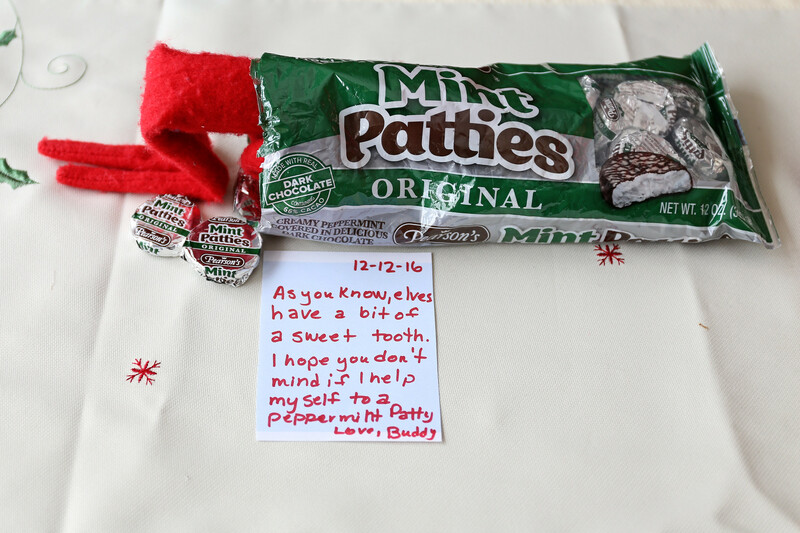 Buddy is quite the clever elf this year.